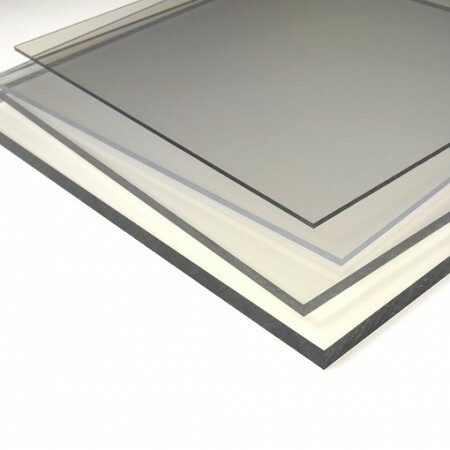 UK based stockist of clear PETG sheets at unbelievable low prices, just compare our prices and you will see the savings. A thermoplastic of the polyester family that resembles similar characteristics of polycarbonate. A high impact material popular for glazing, machine guards, car washes, smoking shelters, roof canopies, bike shelters, and many more. PETG offers low moisture absorption, good chemical resistance, flame retardant, and ideal thermoforming capabilities. Increasingly popular in the display sector is the use of Polyester, a versatile, recyclable plastic for many applications. PETG is particularly suitable for screen printing and can be easily hot and cold bent. Excellent fire rating: BS476 Part 7: Class 1. PETG sheets are fully transparent, with exceptional clarity just like glass. PETG has high impact strengths and temperature resistance making it ideal for glazing. Do the PETG sheets go yellow over time? Our PETG sheets are UV stabilised. This prevents them from discolouring and are guaranteed for 10 years. What are PETG sheets used for? PETG sheets can be used in a wide range of applications including Car washes, glazing, machine guards, notice boards, smoking shelters, roofing and many more. What is the impact strength of PETG? PETG sheets are almost indestructible. The sheets are used in applications such as heavy machiney guards, car washes and ice hockey rink screens because they are fully shatterproof. Is PETG easy to handle? Being approximately half the weight of glass PETG sheets are far easier to move around than glass. Is PETG fully fire rated? Yes, PETG is Class 1 BS476 part 7, and is a self extinguishing material.